Online auctions provide an exciting marketplace for everything from the latest fashions to obscure collectibles. They offer users the chance to find items that may not be readily available in local shops or storefronts. These auctions also allow customers to find deals that are more finely tuned to their budget. There are several websites that offer online auction services. The most popular online auction website is eBay. eBay has set the standard for online auction houses to follow. Most sites are set up in a similar fashion. OnlineAuction.com or OLA is another user-friendly online auction house. UBid.com is a website that offers many easy to use shortcuts such as jumps to auctions closing soon, popular products, and dollar start auctions. You can find penny auctions at sites such as QuiBids.com and Beezid. 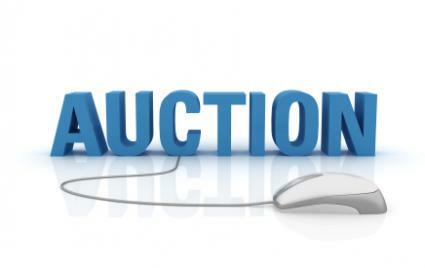 There are just a few tips to keep in mind for an enjoyable and safe online auction experience. Read auction descriptions and look at any pictures provided, so you know exactly what you're bidding on. In addition to reading the product description carefully, make sure you read through any terms and conditions provided by the seller to find out which methods of payment are accepted, how and when items are shipped and other important details. Saying that you didn't read the seller's terms won't help you if you find a requirement disagreeable after you've won the auction. Pay attention to when the auction ends, especially if you want a chance to get in a last-minute bid. If you have any questions about a product after reading the description, contact the seller. This will prevent disappointment and may keep you from buying something you don't really want. When you're figuring out how much you want to bid on an item, don't forget to include any shipping and handling fees when calculating your final price. When it comes to shipping, you need to read the fine print and never assume anything. Shipping and handling fees can vary widely. Items that require bubble wrap, a sturdy box and insurance will often require higher shipping charges than items that can be easily shipped in a lined envelope. If these fees do not appear to be in line with the product, you may want to consider looking for another seller. There are sellers who attempt to make additional profit from "handling fees" at the expense of the customer. Some of the worst offenders purposely start auctions at a low price to draw in page views, but they tack on exorbitant shipping and handling fees. You may think you've found a hidden treasure when you come across a DVD selling for a penny, but then you realize shipping and handling on the item is as much or more than the in-store cost of the item. On eBay, this is considered "fee avoidance" since sellers pay fees based on the selling price of an item, not the shipping and handling costs, and it is against the site policies. There are so many auctions on eBay, though, that these types of auctions slip through the system all the time. If you win an auction, communicate with the seller and pay promptly. An auction bid is a binding contract. Not only is a non-paying bidder an annoyance for sellers, but if you don't follow through on your commitment, you run the risk of being banned from the auction site entirely. Online auctions sometimes bring out the seedier element, looking to make a quick buck on illegal products. When you think of "counterfeits" you may think of antiques and other high-priced items, but auction sellers are more likely to try to pass off fake designer clothing and bootleg CDs and DVDs. If a Prada bag is selling for $49.99, it's probably not the real thing. If a "box set" of your favorite television series comes on a suspiciously small number of DVDs, it's most likely a bootleg. If you're undecided, look carefully at the seller's feedback to see if any buyers have mentioned potentially counterfeit products. Your best defense against buying an illegal item is to be an informed consumer, whether you're buying Bakelite or Barbie dolls. Know your products, and be cautious of "too good to be true" deals. Don't get so caught up in bidding that you pay more for an item than it's currently selling for at online retailers or brick-and-mortar stores. Sure, it's being shipped straight to your door, but is that convenience worth paying $20 more than you'd pay for a toy on clearance at Target? Check out price comparison sites like Shopping.com to get an idea of the current selling price of anything you may want to buy. Again, don't forget to include the cost of shipping and handling in the final price of an item. It doesn't do you any good to save $3 on a skirt only to pay $5 more in shipping costs. Don't get discouraged by the potential pitfalls of auctions. Be a smart shopper, and you can have fun exploring the world of online auctions.